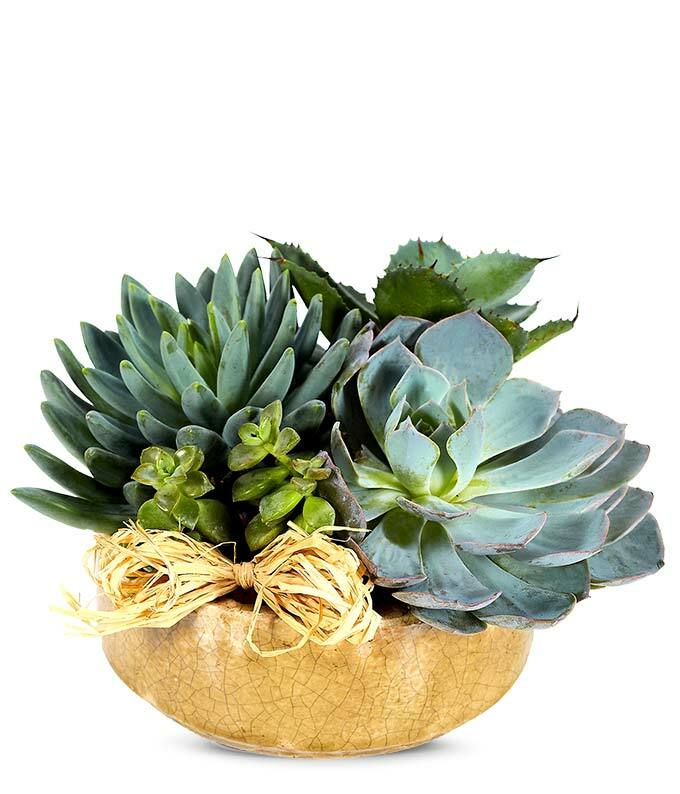 Enjoy succulent delivery with the Succulent Garden is a lovely and adaptable arrangement. A variety of succulents are delivered in a dish garden container and are easy to maintain. The Succulent planter makes for a wonderful housewarming or office gift and is arranged by a local florist.